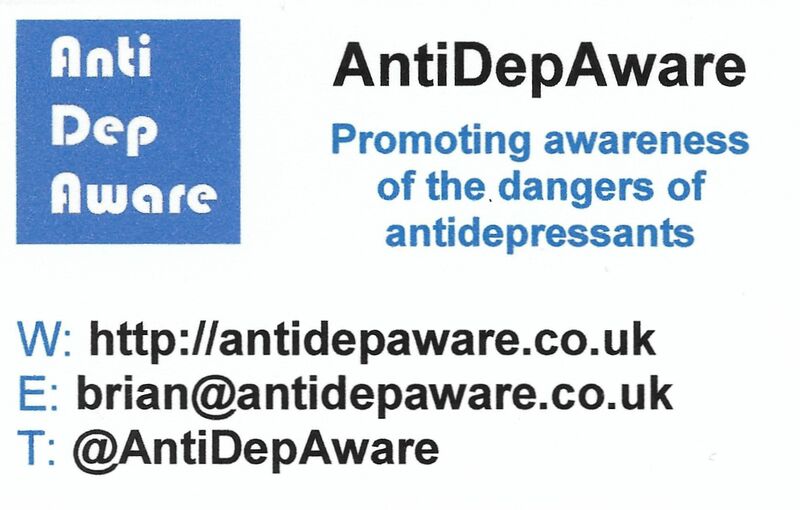 We are told that there are at present over 5 million users of antidepressants in the UK. 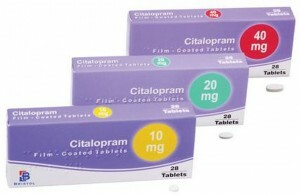 There is no wish to ban these drugs which give support to a large number of people with severe depression. However, it is clear that antidepressants are being prescribed to those who are not clinically depressed, to whom they are likely to do more harm than good. In 2009 my son, who had never been depressed in his life, went to see a doctor over insomnia caused by temporary work-related stress. He was prescribed Citalopram, and within days he had taken his life. 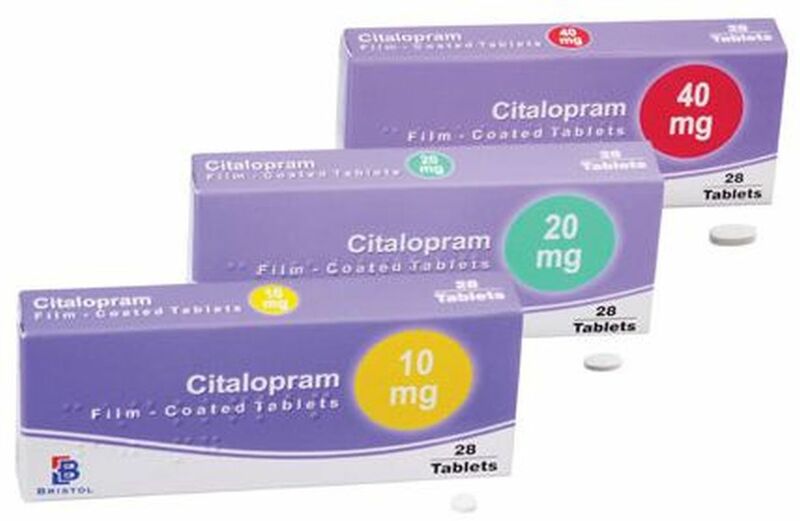 At my son’s inquest, the coroner rejected a suicide verdict, but delivered a narrative judgment, in which Citalopram was cited by name. After retiring from work in 2012, I had time to investigate more thoroughly the link between self-inflicted deaths and the prescription of SSRI antidepressants. As a consequence I learned of the risk of suicide on antidepressants, particularly in the early weeks of uptake or if the dosage is increased, decreased, withdrawn, or changed for another brand. I also discovered that, prior to a number of self-inflicted deaths, SSRI antidepressants had been taken along other psychiatric medication, such as anti-psychotics or benzodiazepines. And what became evident from many of the reports I read was that the person who had died by suicide had not been depressed, but, contrary to NICE guidelines, had been prescribed antidepressants for conditions such as anxiety, PTSD, work-based stress or grief. This website, which I began in 2013, includes links to reports of inquests held in England and Wales since 2003. Most of these were found in the online archives of local and national newspapers. It must be noted that these lists are far from exhaustive but, even so, contain summaries of more than 6800 reports on self-inflicted deaths, all of which are related to use of antidepressants. There are also many articles, most of which I have written myself, based on what I have discovered during my research. My motivation in embarking on this site has been to offer some understanding to the grieving families who are invariably left a legacy of unanswered questions and “if onlys”, along with misplaced guilt and the memory of horrific loss. Perhaps this website will help answer some of those questions. 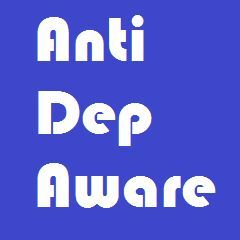 WARNING: People who have been prescribed antidepressants should not suddenly stop taking their medication. Gradual tapering is advisable. Anyone considering altering the dosage of their medication, or withdrawing from it, needs to take medical advice first.